The events in the Assembly today were deeply shocking. 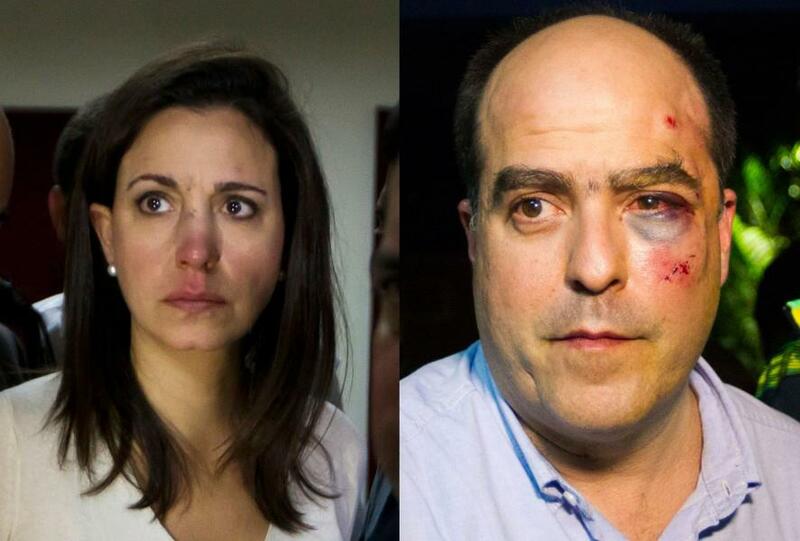 With dissident congresspeople now not merely barred from speaking, not merely deprived of their salaries but repeatedly physically assaulted, just for showing up, Venezuela’s parliament is as good as dissolved. Venezuela’s democratic movement is being violently shoved into the kind of underground resistance it never envisioned for itself, never sought, isn’t well prepared to take on, and never actually wanted. The contrast with the now-in-power far-left’s gleeful embrace of clandestine subversion against a new, liberal, indubitably democratically elected regime in 1961-1962 is vast and telling. Even as I write that, I have only the foggiest notion of what the 21st century version of “going to the mountains” might actually look like. Discovering that, it seems to me, is the task that this generation faces. This I know: We didn’t choose this path. We’ve spent over 14 years resisting it, working night and day to think up ways to fight an undemocratic regime through democratic means. Even today, even now, with a mountain of evidence making it patently obvious that there’s no room left at all in the regular channels for institutional contestation, some of our leaders hope against hope that there’s some sense left in filing one last amparo in the Supreme Tribunal. It grieves me to say it, because I have steadfastly resisted this conclusion over the years, but there isn’t. We didn’t choose clandestine opposition. The government chose it for us. And that’s where we are. Previous articleWhy go to the Circus when you have the AN?